Josephine M. Deutsch, age 95 of Jordan, passed away on October 27, 2018. A visitation will be held on November 1, 2018 from 4-7PM at Ballard-Sunder Funeral Home, Jordan. Mass of Christian Burial will be on November 2, 2018 at 11AM with a visitation 1-hour prior at St. John the Baptist Catholic Church, Jordan. Josephine will be laid to rest at Calvary Catholic Cemetery, Jordan. Her grandsons will act as pallbearers. On August 12, 1923, Sylvester and Clara (Barlage) Bigaouette celebrated the birth of their daughter, Josephine. She was the third of ten children. During the 6th grade, Josephine left school to help on the family farm. Her strong work ethic was vital to the family, especially when her father died young. Josephine’s life was enriched when she met a young man, Edmund Deutsch, outside a local dance hall. They two hit it off and were married June 8, 1943 at Assumption Catholic Church in Sibley County. They moved to the Deutsch family farm and began their lives together. They worked hard, farming 180 acres and raising their children. Josephine and Edmund believed in setting a good example for their children. They were loving, yet stern—making sure chores were done before the children left for school or to visit friends. Together, the family enjoyed attending local baseball games, especially at St. Benedict. In 1969, the family purchased a cabin up north. Fixing it up was a labor of love, but they enjoyed their time there. In her later years, Josephine enjoyed drives around the countryside, especially in fall, and seeing Christmas lights in the winter. Unable to stay idle, Josephine also worked outside of the home. She waitressed at Wagner’s Supper Club and cleaned homes in Edina. 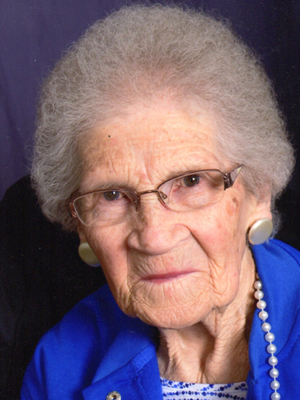 When Edmund died, she began working at Norwesco Plastics in Belle Plaine. Around this time, she also began caring for her aging mother. Family was the most important part of Josephine’s life. She adored her many grandchildren, even keeping a drawer full of candy for their visits. Josephine was even known by friends as “Grandma Jo.” On Thursdays, she loved playing sheepshead with her children. A gentle, yet feisty woman, Josephine is loved and missed by her daughter, Mary Lou (Donald) Hilgers and her family; Dawn (Mark) Peterson, Peter (Diana) Hilgers and their children, Jessalyn, Brielle, Annalee, and Jason (Erica) Hilgers and their children, Vidilia, Jill, Penelope; daughter, Berdie (Leon) Hartman and her family; Corinna (Paul) Benz and their children, Emma, Ethan, Kim Evans and her son, Justin, Steve (Katie) Hartman and their children, Ayla, Bryn; son, Joe (Edith) Deutsch and his family; Joseph R. (Michelle) Deutsch and their children, Jordan (Tobi) Bailey and their son, Axel, Allyson Deutsch, Conner Deutsch, Jefferey Paul Deutsch and his son, Daniel, Jeanie Marie Deutsch and her daughter, Shelbie and her sons, Jayden and Jackson Adkins, Sheldon Seifert, Julie Deutsch and her son, Austin Nolan, James Deutsch and his children, Alex, Quin, Eva, Mia; daughter, Rita (Louis) Steinhoff and her family; Richard (Shannon) Steinhoff and their children, Haley (Paul) Warden, Meghan Steinhoff, Chris Steinhoff (fiancé Amy Nelson) and his children, Brittany Steinhoff (fiancé Nate Mitchell) and their daughter, Brooklyn, Kyle Steinhoff, Tina Steinhoff (fiancé Trevor Bear) and their daughter, Brianna; siblings, Myrtle Buesgens, Irene Castor, Ethel (Andy) Hervin, Richard (Ardene) Bigaouette; sister-in-law, Florene Bigaouette and Bev Schultz; other relatives and friends. Josephine is greeted in Heaven by her husband, Edmund; parents, Sylvester and Clara; siblings, Marie (Irving) Brazil, Francis (Katheryn) Bigaouette, Ray (Fran) Bigaouette, Tom (Georgia) Bigaouette, Jerry (Donna) Bigaouette; brothers-in-law, Elroy Buesgens and Bud Castor. Rita and family, we are so sorry for your loss. We love you guys. I’m am so sorry to hear of Josephine’s passing. She was a wonderful little spitfire. My thoughts and prayers are with you all during this time. Prayers for all of you during this time. I wish we could join you as you celebrate her life! Our thoughts will be with you. She will be missed. Our sincere condolences to the family of Josephine…what a great lady and a great loss to your family. Deepest sympathy on your loss. Aunt Josephine was a very special lady. Thoughts and prayers are with you during this difficult time.